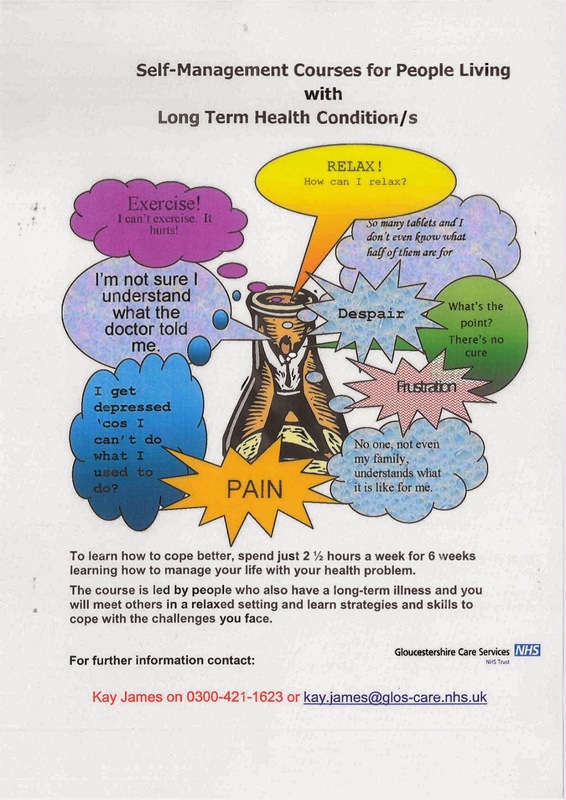 Anyway this blog is to advertise the courses for people with chronic illnesses - click on poster to enlarge - I have no idea how they are going now but was part of the first people to deliver the courses in this country. They were excellent as it was people who experienced chronic illnesses who were delivering the courses.....too often we miss the voice of the patient who is after all usually the expert in their condition. I've been on the self management course you've written about, the course and the tutor Kay are awesome, and it's a life-changing experience. If you've got any doubts about it just give it a go, you're bound to find something useful in the six weeks training it involves. Thanks for comment/sharing - yes my experience of course was very positive - and participants wrote to me afterwards sharing stories of how lives had changed - great to hear it is still supporting people.